The new shape of an American classic. 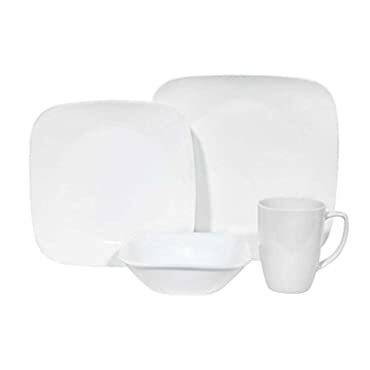 Designed by Studio Levien of London'the Corelle Square line is made of the same break- chip- crack and stain resistant dinnerware you know and love. 3 year replacement warranty against breaking and chipping. Sleek squared shapes with rounded corners and flared rims fuse perfectly with the traditional rounded inside, resulting in a totally fresh but timeless look. Versatile enough for everyday and entertaining. Color: White. 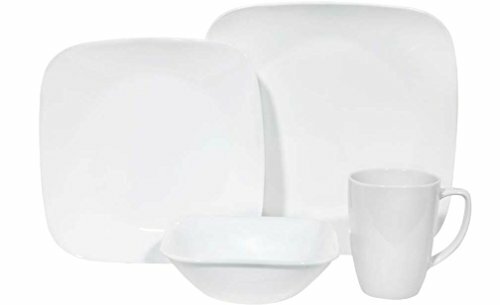 Corelle - Dinnerware Sets - 1069958 - Finish: Pure White; Material: Vitrelle Glass. Specifications:Overall Product Weight: 13 lbs.